Well, there's at least one on his jeweler in Bangkok. Rama Jewelers. We entered on a whim. My wife got excited and wanted to have our wedding bands made there, for her a diamond one. and ended up ordering a $2000 ring on the spot. We had momentary buyers remorse when we went into a nearby jeweler, who promised to create a similar ring more cheaply. We had already put a deposit down and paid for the rain. Keeping to the agreement, we came in two weeks after giving birth, and true to their word, they took the original ring, and made a similar one which would fit her finger better. After receiving our prize, we went to a competitive jeweler from whom we had previously made a small purchase previously, and upon examining the ring, we were assured us that it was of excellent quality. Therefore, I can wholeheartedly recommend Rama Jewelers, and vouch for their honesty. There was no hassle whatsoever, and in fact when we picked up the original ring, they charged us less than the quoted price, as it had cost cost them slightly less to make them they had previously anticipated. Far better to quote a higher price and then charge less based on their built-in mark-up. 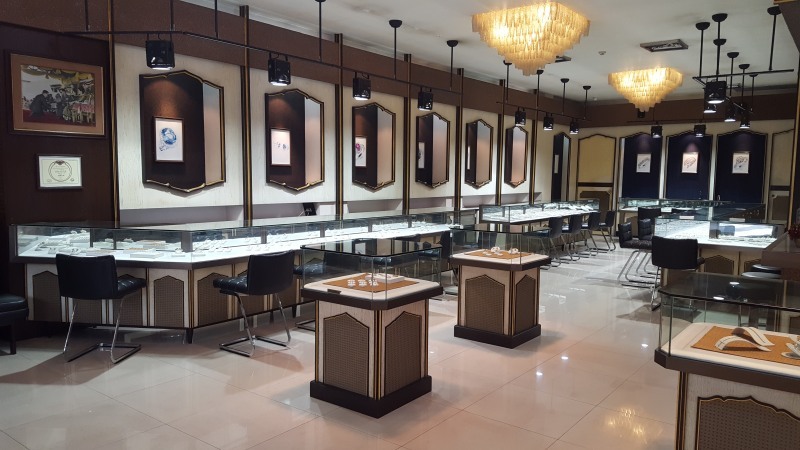 If you're looking for a jewelry store in Bangkok, I don't believe you could go wrong with Rama Jewelers in the Silom area. Bangkok, famous for massage. Competition fierce. And if you're looking for a different experience? Might I suggest Perception (Blind) Massage in Bangkok where you will receive your choice of massages from trained, sightless masseuses. Located in the business district of Bangkok, on the second floor of a building, the walls are grey, and you'll find the barely illuminated room calming, but more so, the masseuses are excellent, perhaps due to having more honed sense of touch and feel of the body, the sense heightened to help counter the lack of sight. On the wall, in a braille like configuration is the name of the business, along with a several placards with motivating thoughts; perhaps not Rumi but well intentioned nonetheless. In addition to the wonderful massage, you are enabling the blind to earn an income and feel a sense of contribution to others well being. Not far from Koh San Road, is the Bangkok Flower Market, where tons (literally) of tropical blooms are on sale. Walk down the street and into the various shops and gaze upon the vivacious colors of nature to brighten your day, or light your night. Get your honey a bouquet and it won't set you back much. Just be aware that carnations in Thai culture are associated with death and funerals.